Being intrepid travellers means finding a place to rest our heads is never a problem. Wild camping or free camping has been our choice of accommodation many a night, especially when the weather is favourable, we haven’t organised a couch to surf, or a house to crash and paid residency is just too pricey. All it involves is finding a place to pop our tent and hey presto! We’re like animals sleeping in the wild. The key to successful wild camping is location: a quiet, well-hidden, flat surface is conducive with a restful night’s sleep and avoiding being discovered. In our experience, it is handy camping near a water source for washing your dishes or self and not wasting drinking water. Our best advice on locations to avoid is not to camp in dry river beds or catchment areas, certainly don’t camp near military bases or overly secured locations and try your best not to camp under trees with heavy overhanging branches (there is a minute possibility of being crushed). Alleykat recommend stopping 10kms (at least) before or after a town, heading down a small road off the main route and looking for dense tree coverage. 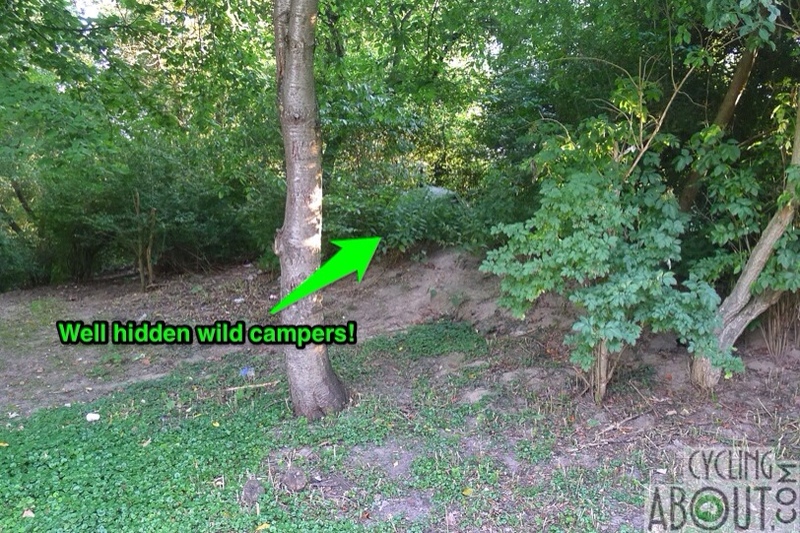 Use your eyes; if you can’t see your camping spot, it’s likely others won’t be able to either. Like us, it would be a good idea to use a green or sandy-coloured tent – this blends in well to most environments and thus avoids alerting others to your presence. Be aware that your light and noise travels so try do everything before dark so you’re not obvious. 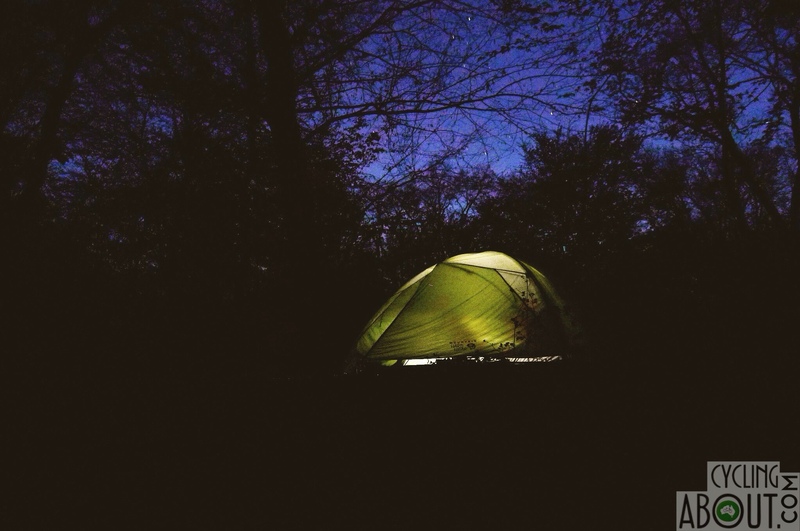 However, don’t set up too early if you’re located near people or even if you suspect there might be people around, popping your tent no earlier than two hours before sunset. 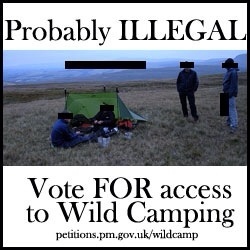 There are many countries where wild camping is illegal, but in most situations the worst discipline you’ll get is being asked to move on (sometimes immediately). 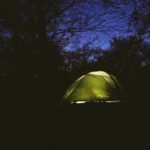 Countries to re-think your wild camping intentions include Germany and The Netherlands, where fines and other penalties are involved, plus there’s no reason to wild camp because the camping grounds are such a brilliant option. In Iran by contrast, there are no laws against camping (or picnicking!) wherever suits your needs. Either pack up and relocate at least 10 kilometres further afield or stay and keep noise and light to a minimum – if you’ve been asked to move however it’s best to take this advice as paramount but do perhaps ask where there is a better spot to camp!